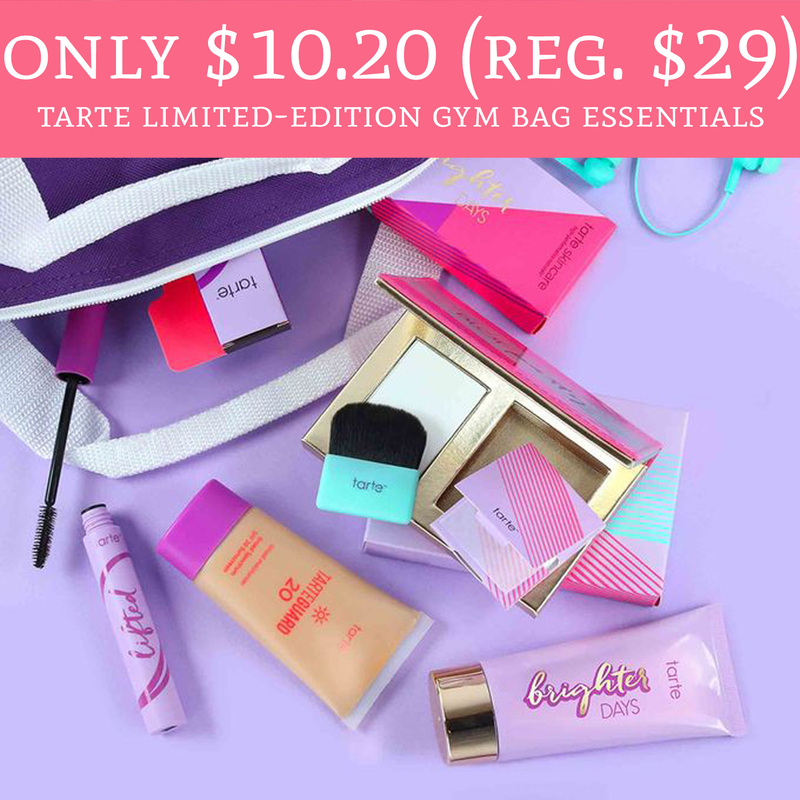 Hurry on over to Tarte.com, where you can score the Tarte Limited-Edition Gym Bag Essentials for just $10.20 (regular $29). The gym bag essentials is currently priced at $12 and use promo code SEAYOUSOON15 for an additional 15% off. That makes it just $10.20! Plus, today only you can score FREE Shipping on all orders, no minimum required. Browse the sale here!